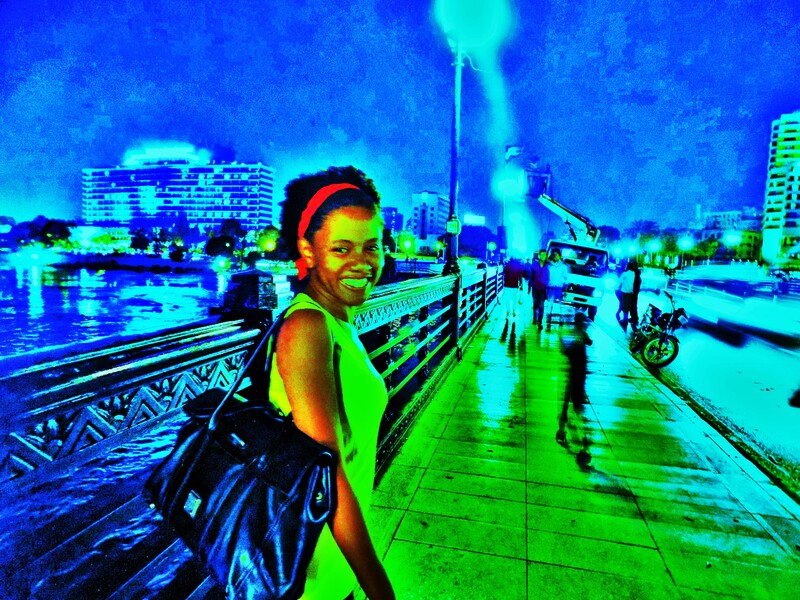 A Painting of Nile Blues: A Night In Downtown, Cairo and the Poetic Painting Of A City! How A Night In Downtown, Cairo Brings Illumination To the Spirit Of A Nation! Lauren Kaye Clark, Let Water Be Your Guide. . .Pisces Travels! To walk through the night of Downtown, Cairo, the energy and visuals are best described as a festival of Cairo’s understanding of Universal sound. The colors, visuals, movements of people, humanity, lights, feluccas. . .and of life, itself. Taking the journal of a simple walk through Downtown Cairo ensures that one literally sees magic come to life. And while walking across a bridge, or cemented pavement over water; it’s irresistable not to imagine the Nile River as a blanket canvass; awaiting potential artists to craft and paint her. A summertime in Downtown Cairo, in the company of my Beau; led to a dynamic crafting, and painting, which had led in wasting. The artist was of foreign tales, a peculiar perfume, of particular smells. A Georgia, Black American maiden in colorations of the Blues. Wearin’ blue cause’ her garden, birthed dat’ Blues. When foreign scents of the feminine, immerse themselves with the country women, an intriguing masterpiece arises. 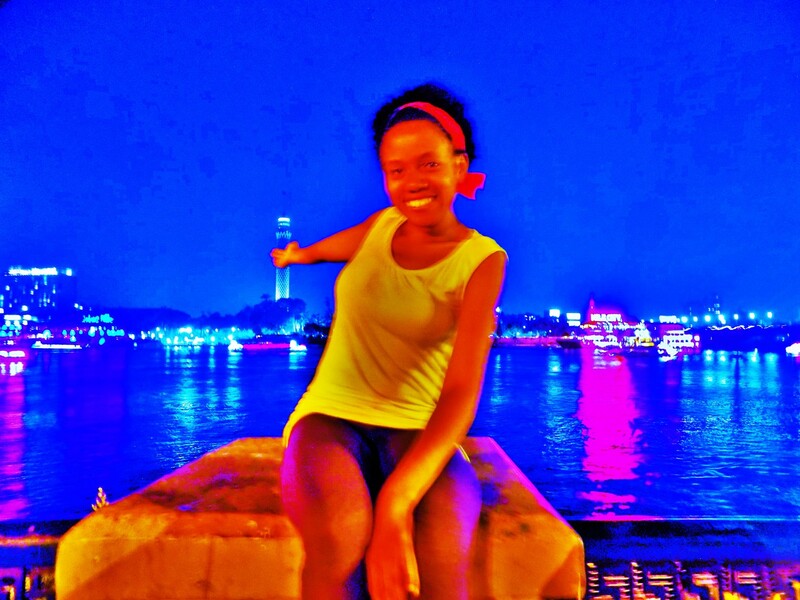 WIth the Nile as her backdrop, she and the night time developed a genuine intimacy for each other. 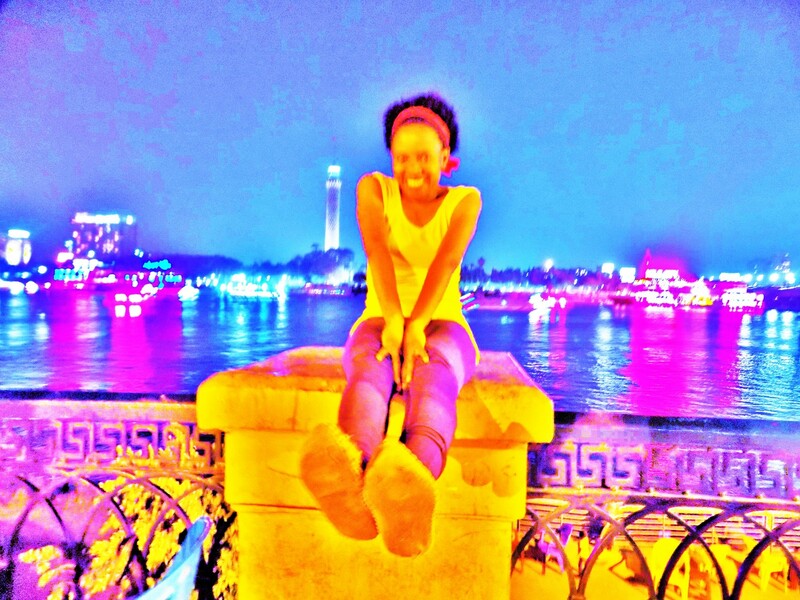 The night laid forth the mystery; as the Nile became herstory. A mirror, as night was no longer invisible to her own Being. Night time was when she could finally see herself; while demanding that others do, too. So, on that night as lovers, enjoyed the company of each other; human bodies participated in the painting of the River Nile. Egypt’s sons and daughters strolled by. Couples walking hand-in-hand. Seeing excitement wrapped around these two Beings, others stopped to participate in the masterpiece. One Egyptian-Arab maiden; adding her own touch of artistry to the painting, with the Blues maiden from a peachy type of land. Giggling and receiving each other, in the way that women do; or should do, nevertheless. 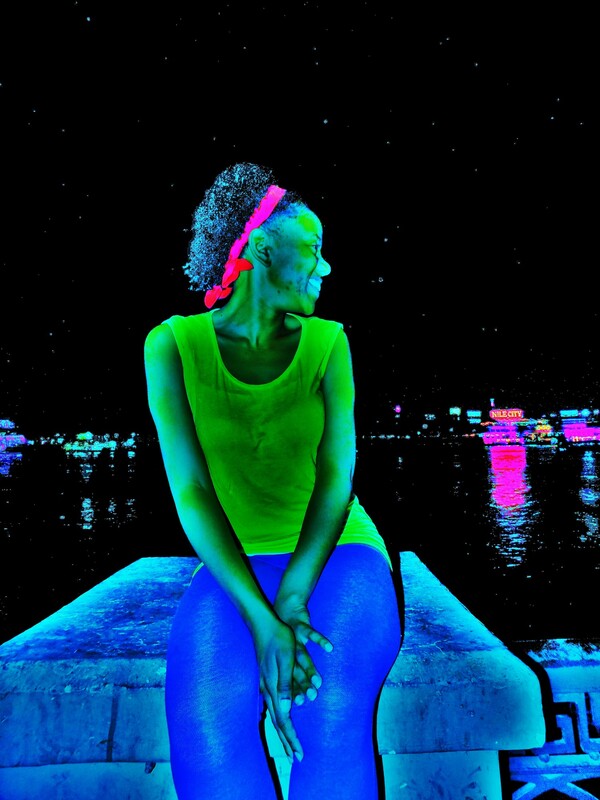 Sitting on a concrete podium, with the Nile as a musical backdrop, of a quiet tune. Darkness and light proved their ability to exist, harmoniously. Not adversaries, but complements of each other. And if one were to listen closely, their musical compositions can be heard. Lovers, friends, and children enjoy the company of being kept under the Nile’s wings. A safety blanket for those travelers, of the night. I imagine and envision the late nights of rural Egyptian-Arab, Bedouin, and Nubian women, who sing their own cultural lullabies to the Nile River. 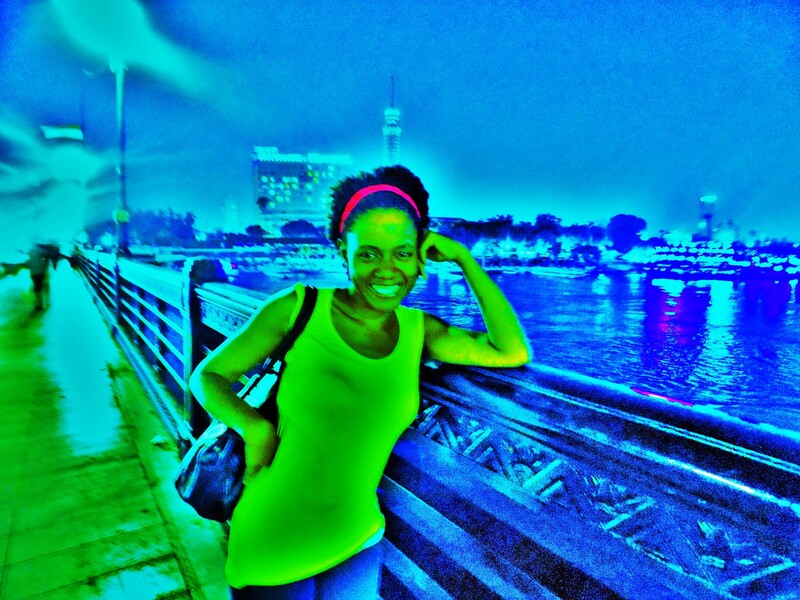 Those silent whispers of tenderness and conversations with the Nile; in the ways of the women of this land. Intimate narratives and Sister time along the Nile. Poetry, music, and ceremonies of womanhood; as ancient practices of the foremothers bloomed. Seeing moving visuals of woman, walking along the Nile River bridge; a perfect choreography for the story of women of the Nile-in Egypt, for that matter. Lasting footprints of those feluccas, which wrote as silkened pens in the Nile River. It seems though, that at night, the Nile reveals the secrets of wading in her own tune-through her own Blues. 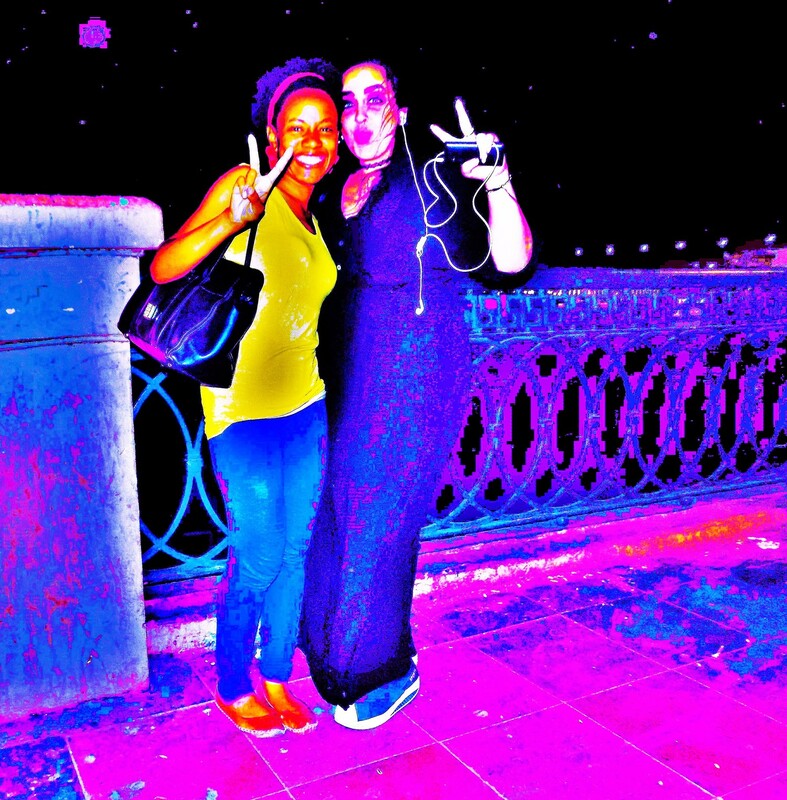 On that night, one Maiden painted in soil’s coloration; painted the Nile with her own Beau. Of further passion, is how they were also part of the painting. The magic is how, blue, was no longer a color of sadness. One Black American maiden’s presence sprayed the Blues across the Nile. Further entrenched, and allowing this musical genre, from a peculiar people, to continue their poetry; in ways reflecting their existence, in the current times. A mutual diary between the Nile, and she, was being written. A secret trust between the two. Water was knowledge, and one came to learn the secrets of her womb. At night, she speaks her Being. During early mornings, she reminisces on the words. Her Blueness is a testamony of her story. A Blue story, which produced Blues stories. Musical poetry of Blues tales. 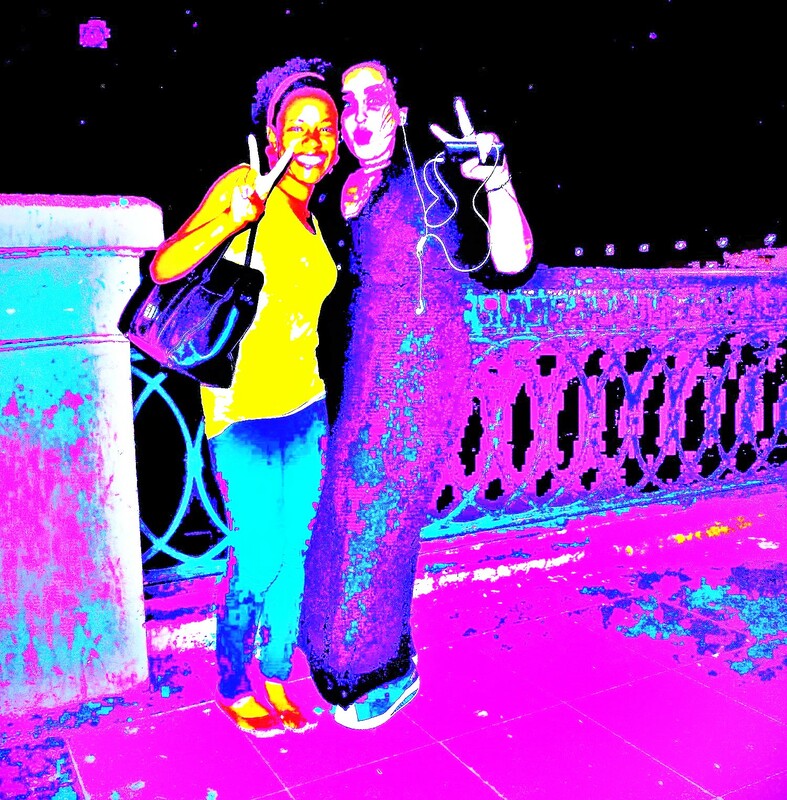 Imagine a painting, where peculiar people of Blues, re-invigorated their stories through enchantments of. . .the Nile. In her exploration and adventures of the Earth's landscapes, water has always been her guide. Through discipline, hard work, and her seeking of other Beautiful human beings, she immerses herself into the abundant and rich Spirit of. . .water! Believing in the power of Sisterhood, womanhood, and the feminine, her yearning to use her talents for the healing of self and others, is her motivation in making the world a better place! Dragons Sail Seas and Dance On Rivers!